Hello, I came to this deck through your forum post. I am not the best commander player, and haven't played/faced Alesha, but I like deck building. One thing I noticed is a lack of board wipes, which I think all decks should have. There will always be a point where you won't be winning, and a board wipe can clear the path and give you the board priority. However, you don't need that many. Three should suffice, but more isn't bad either. Wrath of God. Cheap, reliable and classic. Dusk / Dawn. What clayperce said. It keeps most of your stuff alive while getting rid of annoying big things. Divine Reckoning. You choose Alesha, which can reanimate anything that died from the wrath. Retribution of the Meek. Same as Dusk. You can of course choose whatever you want, these are just some suggestions for you to take. Card draw. My favorite thing to do in EDH is draw cards. While white and red struggle with drawing cards, black has no problem. Darksteel Plate. It allows your commander to attack even if your opponent has big blockers. Bojuka Bog. Graveyard Hate with small opportunity cost. Raving Dead. Can dish out a lot of damage, and when it dies, you bring it back. Graveblade Marauder. Hits hard, especially because you stock your yard. Return to Dust. You need artifact/enchantment hate in commander. There are too many broken things that a board full of creatures cannot solve. Luckily, there is also great removal for those things. Increasing Ambition. This tutor is good because it essentially tutors 3 times in one card. Aegis of the Gods. A little protection is always nice. You never know when the next Comet Storm is going to come. Panharmonicon. 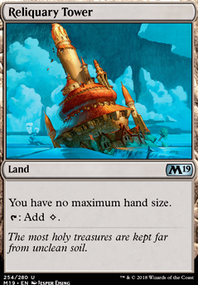 My favorite card in standard right now. Actually, don't add this one, because you cannot effectively capitalize on it's ability to warrant using a card slot. 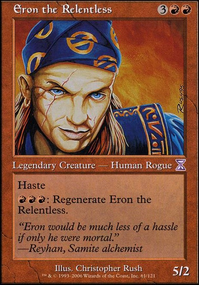 However, if your add more ETB effects, the power of this card increases exponentially! Ashnod's Altar or some other sac outlet. This allows you to sac the creature for utility, and then bring it back. Have a Priest of the Blood Rite sitting around? Sac it, reanimate it, and then sac it again! Useful for ETB creatures and also locked down creatures (Arrest, etc.). With every added card, you have to cut a card. Cards I suggest cutting are low-impact cards. Commander is often a game of value, and Alesha assists you greatly in doing so. However, Brazen Wolves is likely not going to do anything impactful. You would much rather have something like Taurean Mauler, which is just better. Remember: Everyone has 40 life, so games tend to go long. The best cards are cards that scale as the game goes on. I will list cards that I don't think are impactful enough, but that is just my opinion. If your like using a card, or don't have better cards, you can keep it. Grey Merchant of Asphodel. Not enough black mana symbols. If your deck changes to add more, you can add this back in. It is pretty good, but only with support. Azorius Justiciar. Just use removal instead. Use Alesha to get back something else. Scrapper Champion. 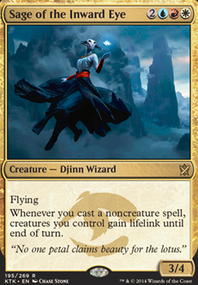 A 3/3 double striker may sound good, but in commander, it doesn't do as much as you expect. Ukud Cobra. Not terrible, but doesn't do anything either. It just sits waiting to block, then dies to a board wipe. Merciless Eternal. 3 mana and discarding a card is too high a cost for just +2/+2. 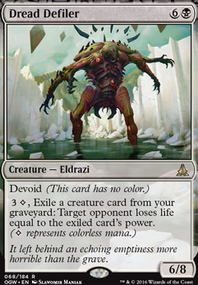 Even if it puts something in your graveyard, why didn't you use Tormenting Voice and draw two instead? That's it for my comment! I hope I helped you improve your deck, and remember: commander is about creating a custom deck. Make it how you and you playgroup enjoy playing. I think my main suggestion to you would to bring your overall CMC lower. I think this deck wants to be more nimble. Cutting the two planeswalkers and Ulamog alone would speed up the deck quite a bit. Reforge the Soul and Tormenting Voice are solid card draw options if you find the deck needs more gas. 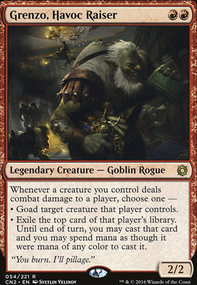 Goblin War Drums, Fervent Cathar, and Break Through the Line can help give your creatures evasion. Berserkers' Onslaught will give you double Grenzo triggers due to double strike. This deck is aggressive, but unlike other aggro decks it doesn't really kick off until turn three when it can battalion Wojek Halberdiers or have a few guys on the field with Akroan Hoplite, and this is also when you can attack with the slow but cheap and effective Loyal Pegasus. The deck takes a couple of turns to settle in, so don't worry if it feels a little slow in those turns. 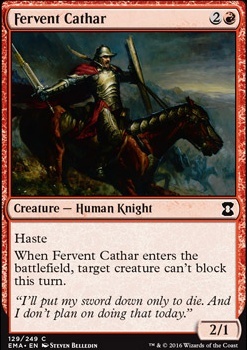 Because of this though, turn three is much faster, Skyknight Legionnaire and Fervent Cathar both have haste so you can really kick off on turn three. The Legionnaire has flying to go over the top to keep it alive, and Fervent Cathar gets a blocker out of the way for a very aggressive play. The four drops are very powerful, Firemane Avenger and Ogre Battledriver can take control of a battlefield if they are kept alive, but they are slow, get them down on turn four to take control of the deck turn five, but be cautious to keep pressure on your opponent or you might find yourself being run through. Harness by Force and Rally the Peasants can win a game that otherwise looked bleak. For three mana they can change the tide of battle, but for six mana they win games. Rally the Peasants can be cast and the cast again from the graveyard to give your creatures +4/+0, and at instant speed! Harness by Force can take two opponent creatures for six mana, make sure to use these cards wisely, when to use them in the early game to apply pressure and when to save them for a big finish in the late game. Magma Jet lets you tidy your draw step and Warleader's Helix gains you life, but importantly they both deal damage. You must learn when to use these to kill your opponents creatures to allow your creatures to run through, and when to damage your opponent directly (which you normally only do if you win as a result of it). The deck runs mainly creatures, so use the instants you have incredibly wisely or your men on the battlefield may find themselves in trouble.